Happy Father’s Day everyone! We had a great breakfast at Colossal Café in St. Paul today and enjoyed a lot of fun family time and great weather. The first box arrived on my front porch on Tuesday. When I first opened it, it looked like just green stuff. Whuh whuh. 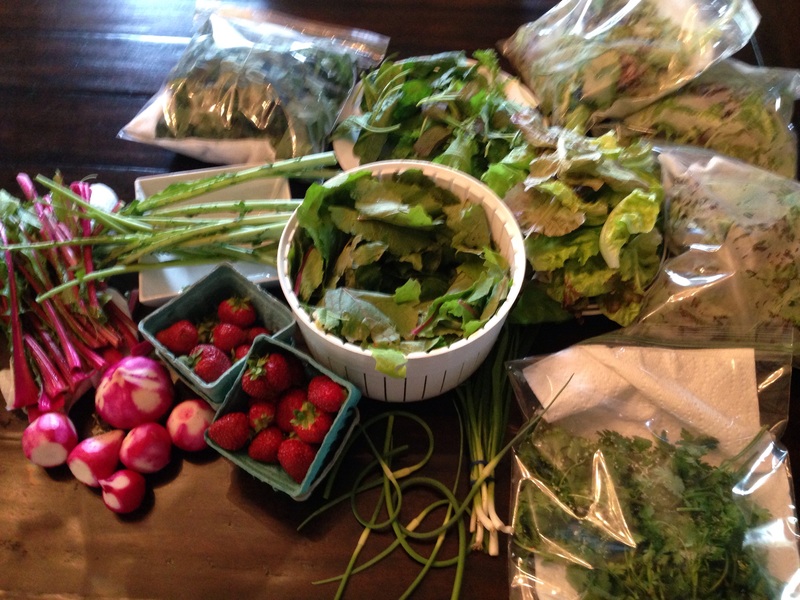 But then I dug deeper and found beautiful salad turnips and strawberries in amongst lots of lettuce, some kale, mustard greens, cilantro, garlic scapes, scallions and some ornamental barley. So, not a ton of variety just yet, but hey, it’s so early in the season and I did get strawberries (which I was secretly hoping for). All in all, I was very, very happy with this box for a mid-June delivery in Minnesota. So, I got to work devising how I would use this stuff. The strawberries were a no-brainer. The boys and I spared no time eating those perfectly unadorned. I mean does it get better than a freshly picked perfectly ripe strawberry? I think not. The rest of the basket was a little more of a puzzle. My goal is to try to use or preserve everything that comes in our CSA box each week, so I wanted to make sure I was thinking strategically. 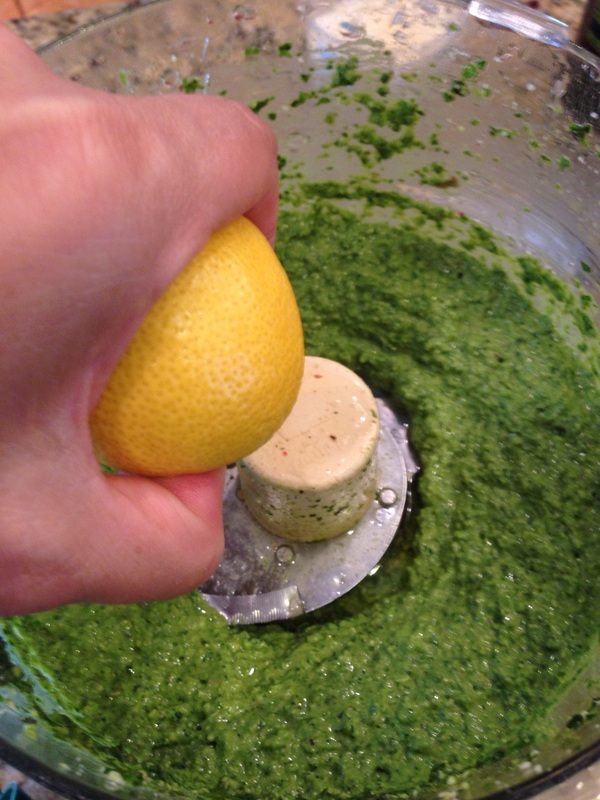 Then I got to making the pesto for the pasta I made later in the week. 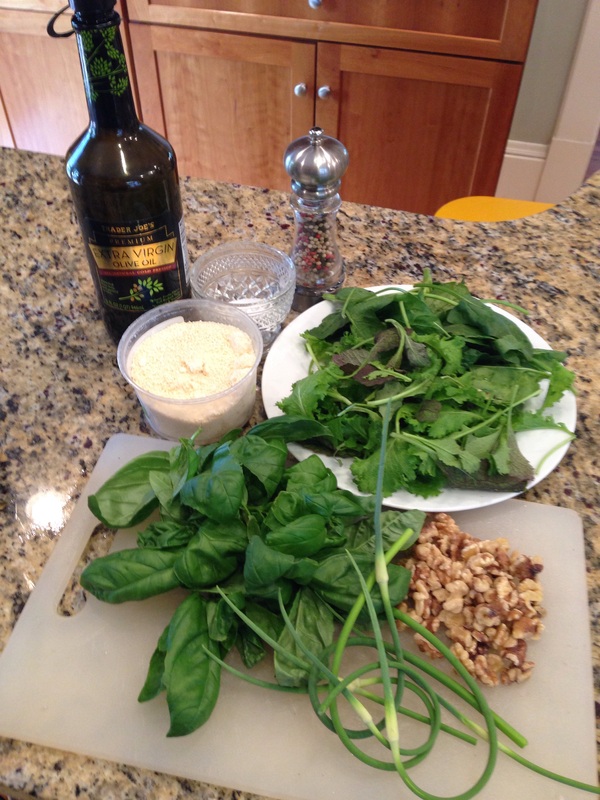 I started with mustard greens, spinach, and garlic scapes from the CSA box, plus parmesan, salt, pepper, olive oil and basil from our garden pots. I pureed the lot in the food processer. 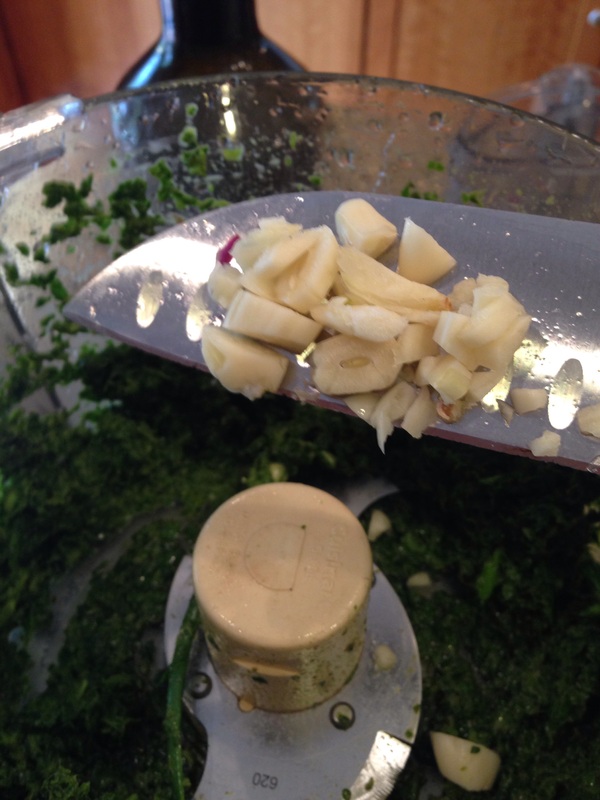 Although the scapes are mildly garlicky, I decided it needed a few garlic cloves. Meanwhile, I got to making dinner for Tuesday night. 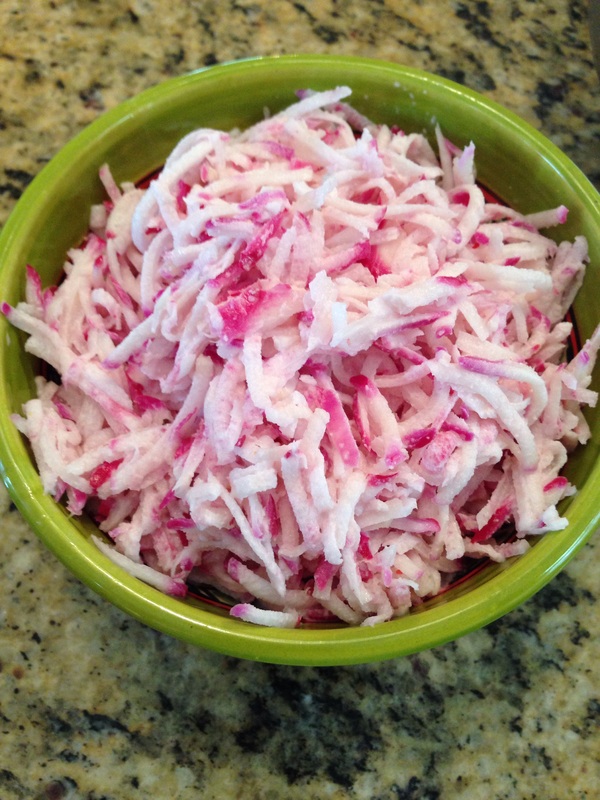 I made a simple slaw with grated turnips from the CSA box, tossed with a bit of mayo, onion powder and honey. 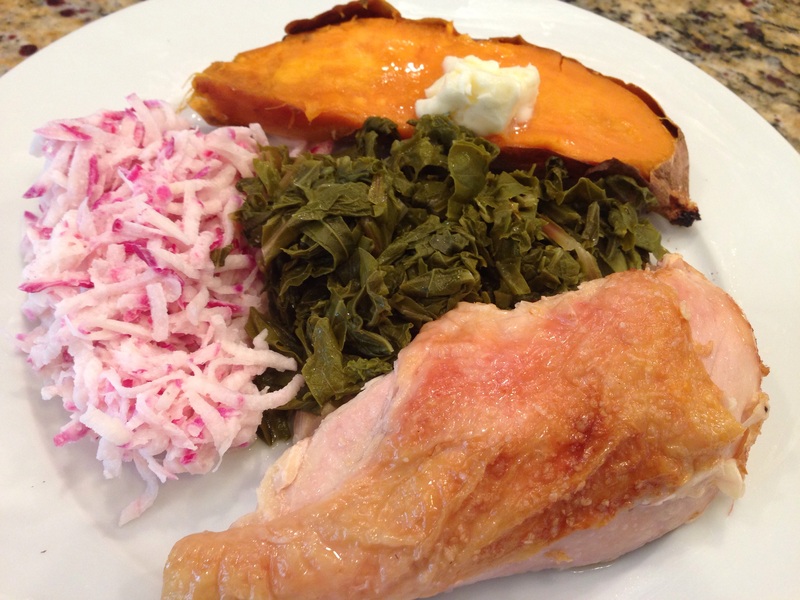 I also made some turnip greens and reserved the stems for another recipe (below). I cooked them in pot of salted water, seasoned with a bit of liquid smoke. When they were tender, I drained the excess liquid and sautéed them briefly in a bit of butter. Meanwhile I roasted a chicken and some sweet potatoes. And dinner was done. My four-year-old loved the slaw. 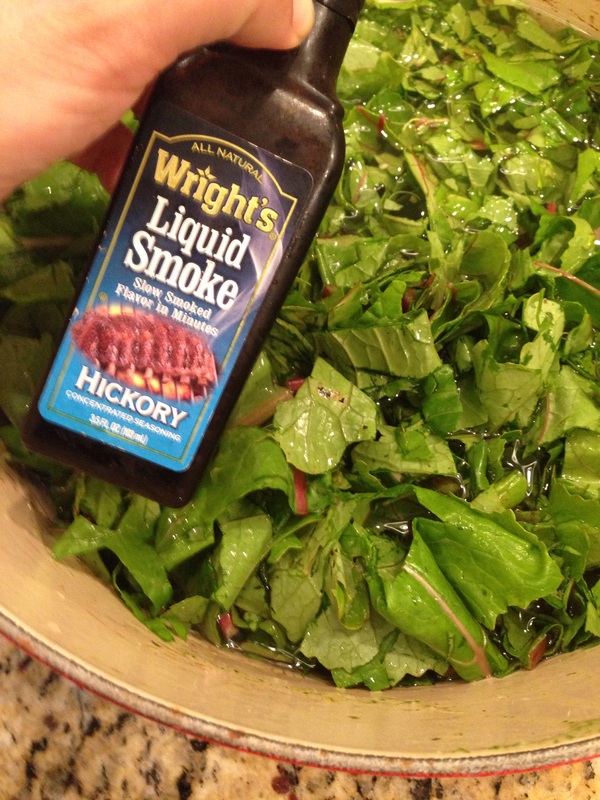 My husband loved the greens, which he doused in Crystal Hot Sauce. I don’t think my two-year-old ate much of anything. And so it goes. I was on a role, so after dinner I got to making a batch of lettuce and cauliflower soup for Wednesday’s lunch. Hey, stop the gag noise. 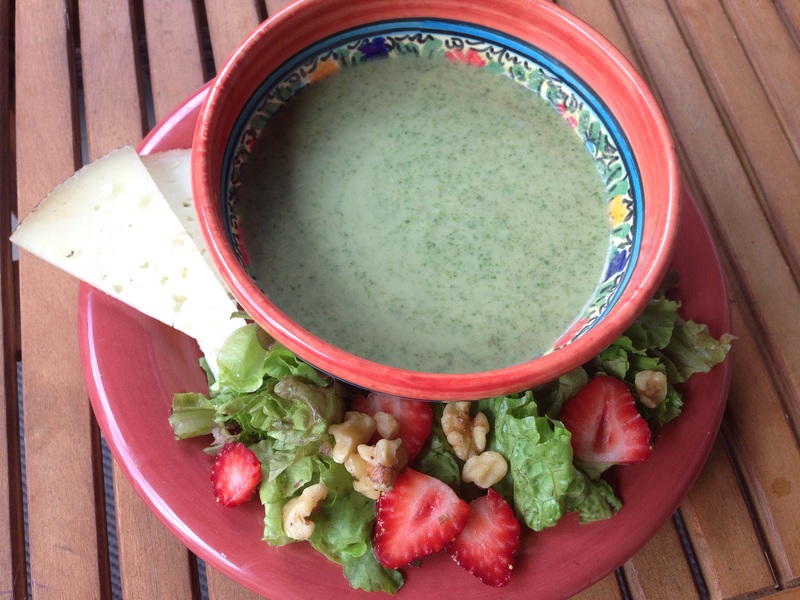 Have you ever had lettuce soup? I didn’t think so. It’s actually very common in France. It’s usually rounded out with a generous amount of cream. We’re trying to be a bit healthier these days so I added some roasted cauliflower so I could cut back on the cream. Some recipes call for potatoes, but cauliflower is lower in carbs, so I went that route. Anyway, I roasted the cauliflower with a bit of olive oil and salt in a 450 degree oven. I love roasted cauliflower, but its never really soft enough for a pureed soup, so to get the flavor, but ensure tenderness, I put the cauliflower in a pot with some veggie broth (I used water plus “Better Than Bullion”). 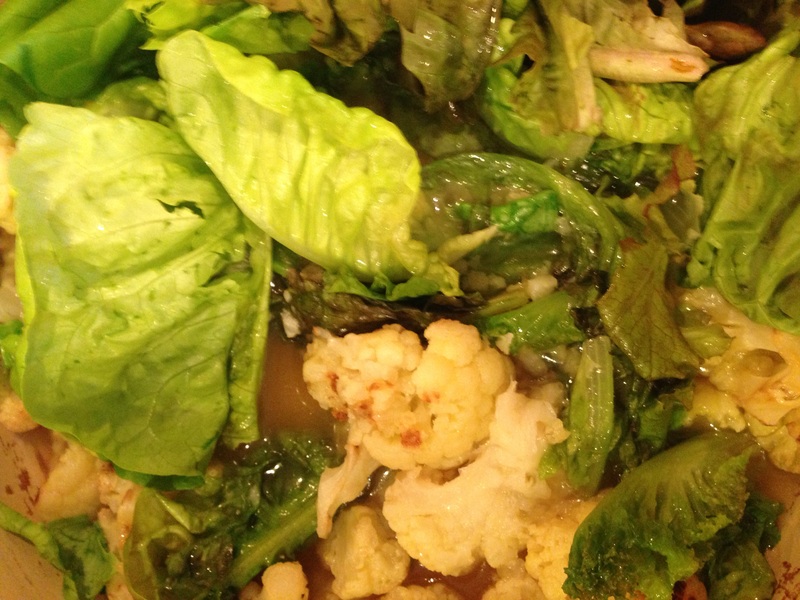 When the cauliflower was nice and tender, I added a few handfuls of lettuce. When the lettuce was wilted, I purreed and added a bit of salt and pepper. Finally, I added a modest dollop of cream cheese. Normally, I might of added a splash of half and half, but hey, you gotta use what you have on hand. 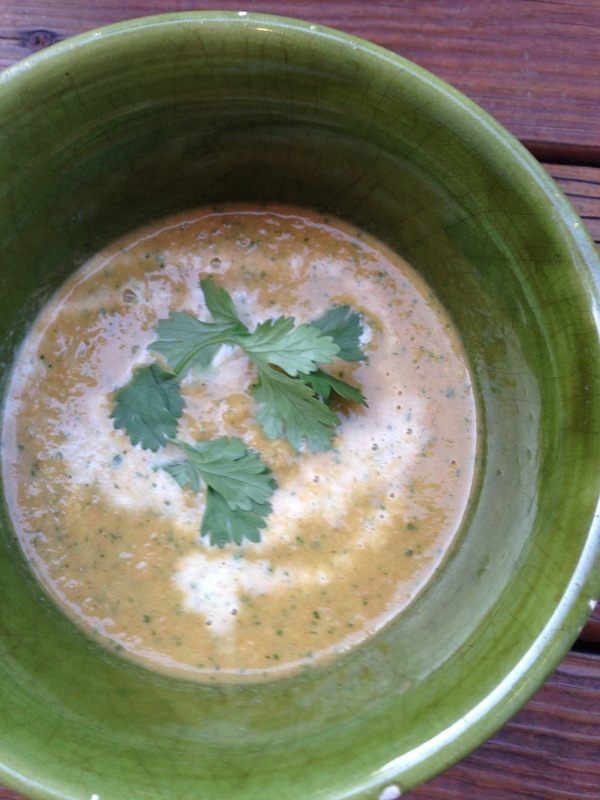 Anyway, lettuce and cauliflower soup was lunch on Tuesday. The husband took some to work and reported back favorably. 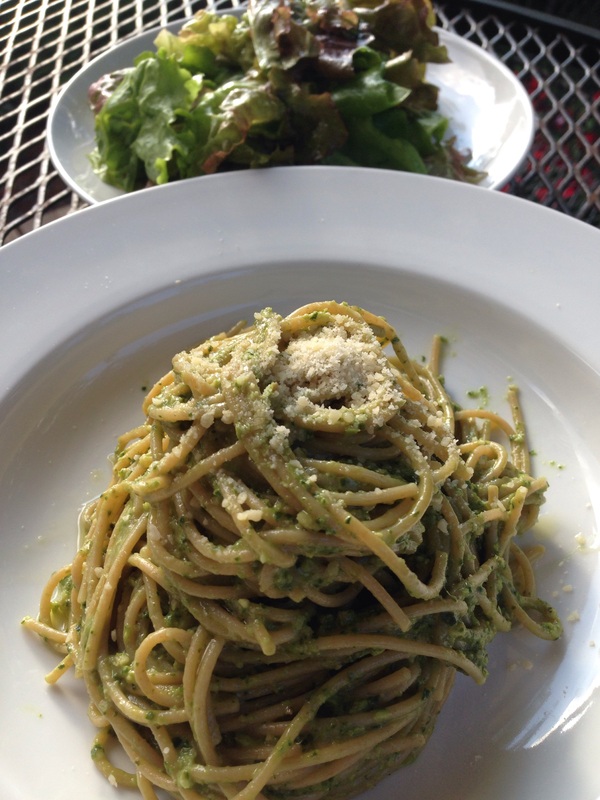 My four-year-old and I enjoyed ours with a strawberry and green salad on the side. The two-year-old mostly just ate strawberries. Hey, I tried. 1) sautéed kale, black beans, pico de gallo and queso fresco; and 2)chicken, citrus turnip slaw, avocado, lime and cilantro. 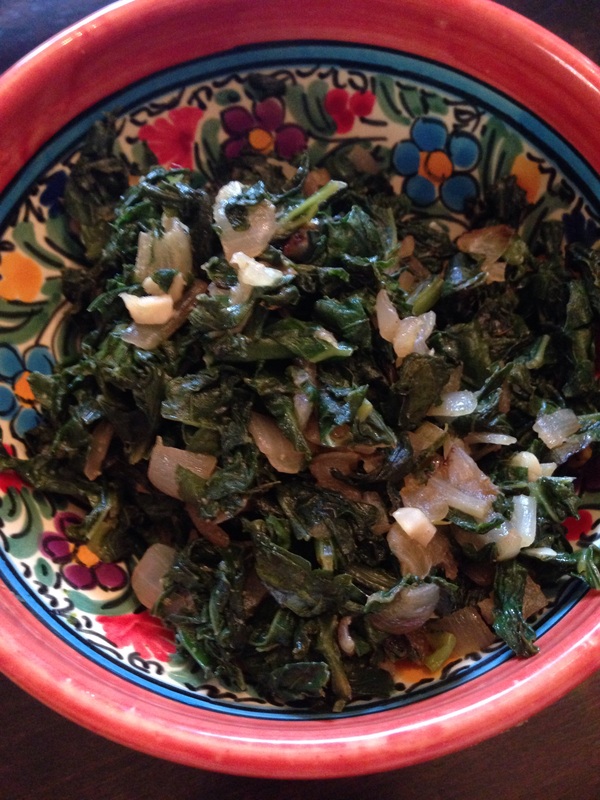 The kale was just a simple sautee of onions, garlic, cumin and kale greens from the CSA. 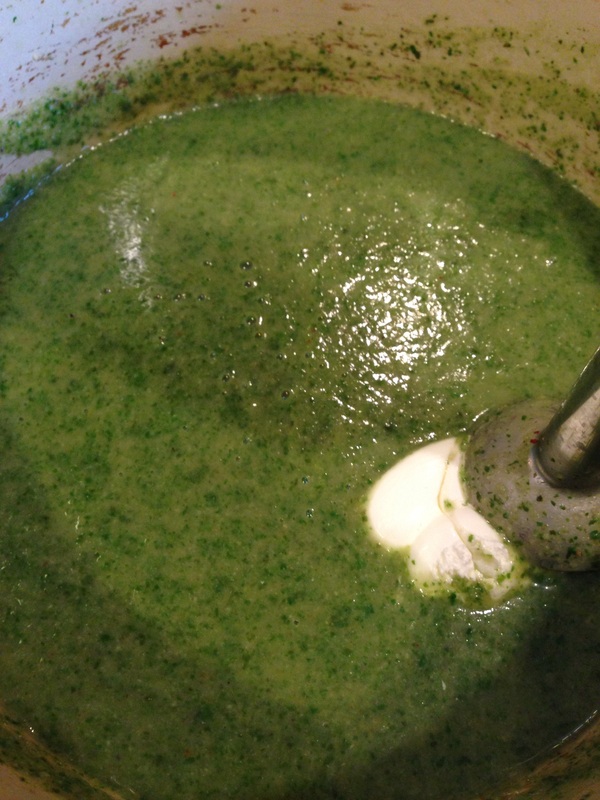 I saved the kale stems to cook up with the mustard green stems for my second soup recipe (below). 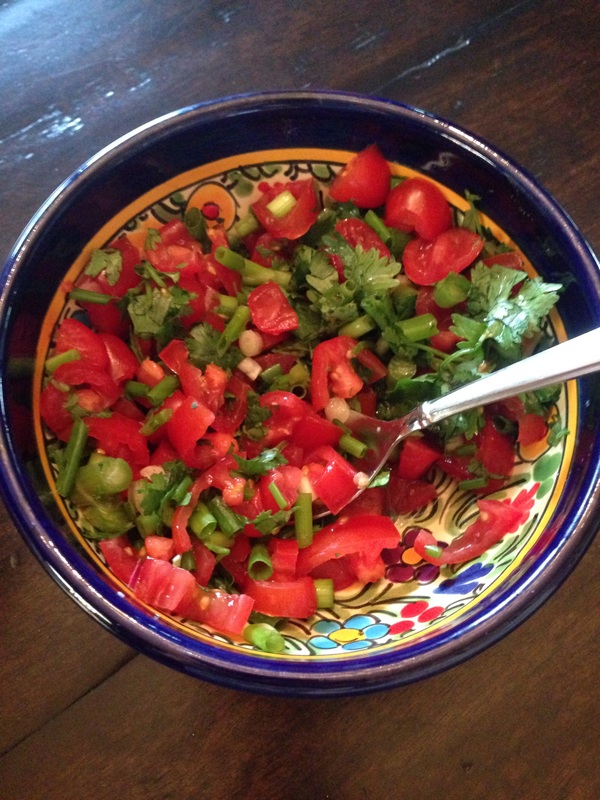 The pico de gallo also feature cilantro and green onions from the box. For the citrus slaw, I just repurposed some of the slaw from the night before, with a couple added squeezes of lemon and lime juice. 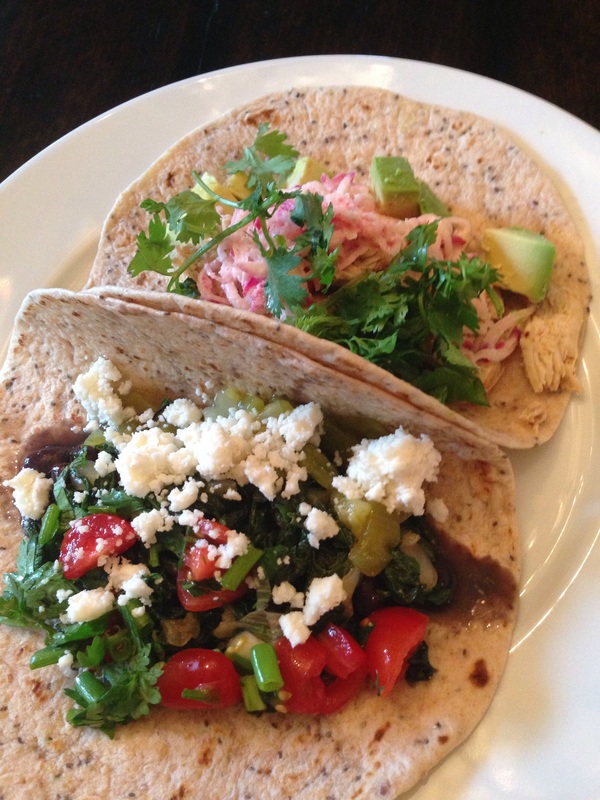 Here’s a pic of the assembled tacos. 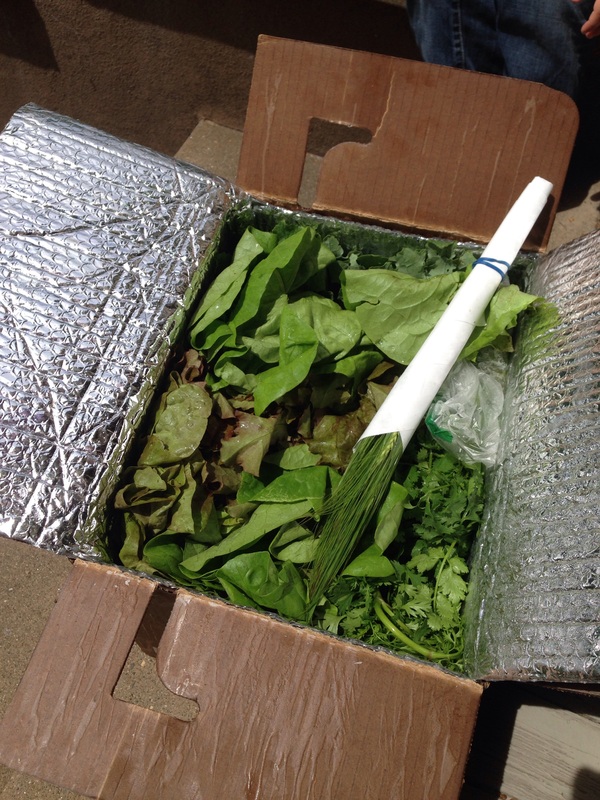 With only a bit of lettuce, some mustard and kale stems and cilantro left, Friday’s lunch had to be fairly creative. I decided to go with a slightly more eastern twist and cooked up some awesome soup. 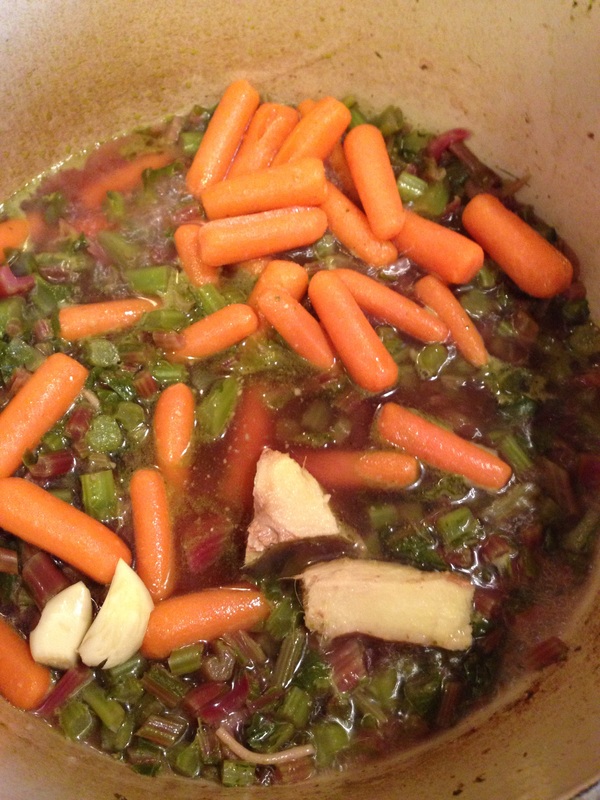 I started by cooking the stems and some carrots in vegetable broth with ginger and garlic. 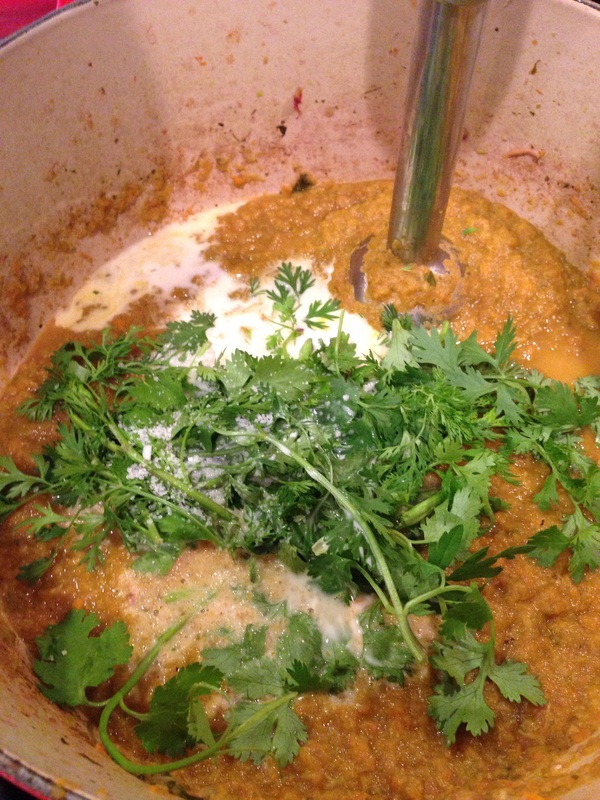 When everything was tender, I pureed it with some cilantro and coconut milk and adjusted the seasoning. It was so gingery and delicious. I didn’t think the kids would go for it, but boy was I wrong. They loved it! 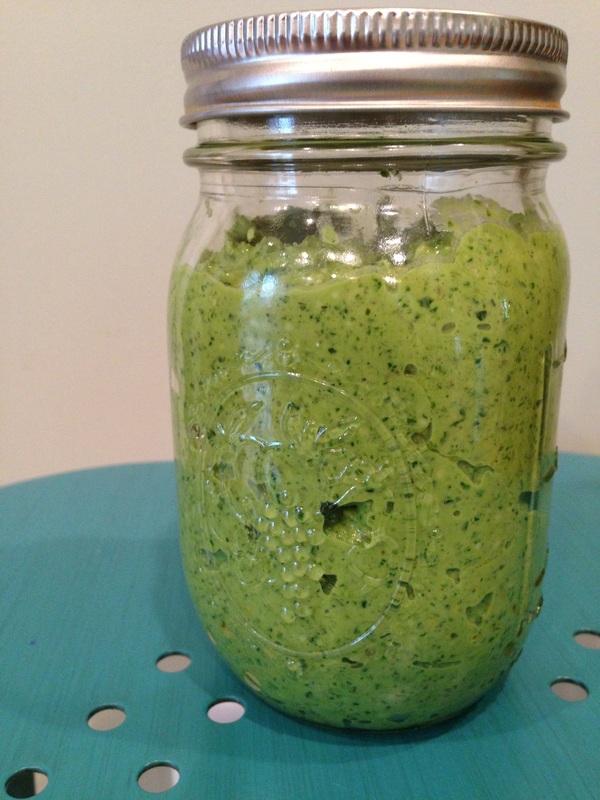 Anyway, we polished off the last of the lettuce over the weekend, and only have a bit of leftover pesto, which I put in the freezer for later use. 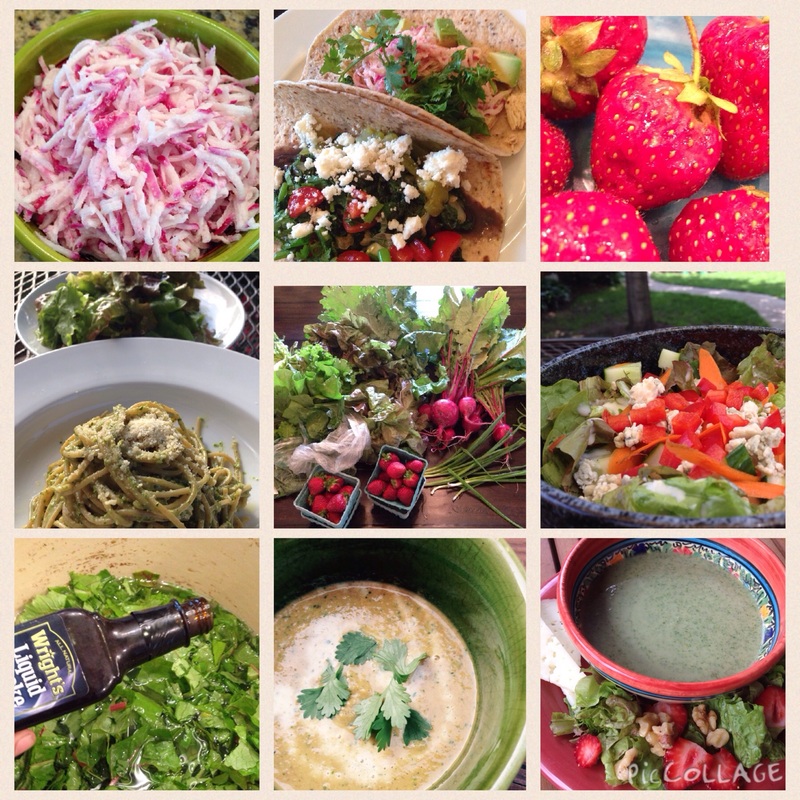 Are you getting a CSA box? What’s in it this week? What would you have made with my box? Awesome!! I found your link through Buttermilk Falls! 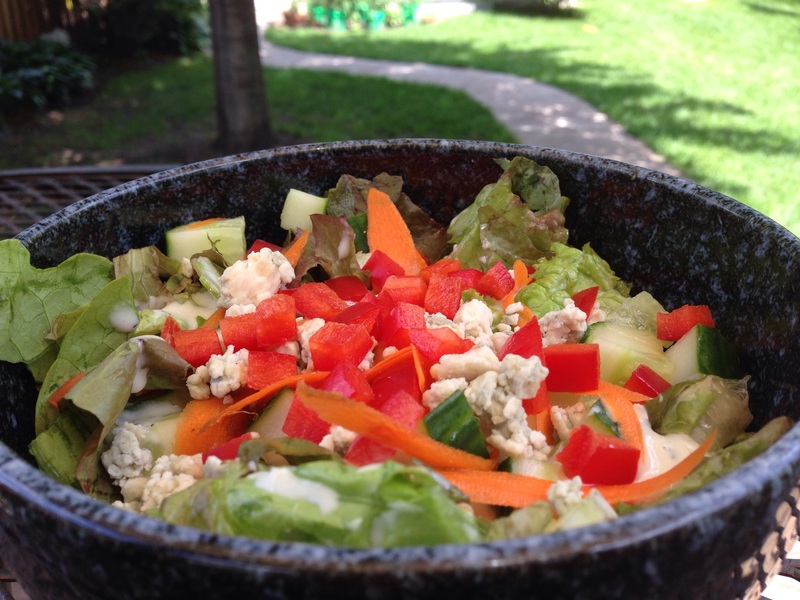 I’d love it if you posted more recipes using CSA veggies! Going to try the lettuce soup!! Thanks! 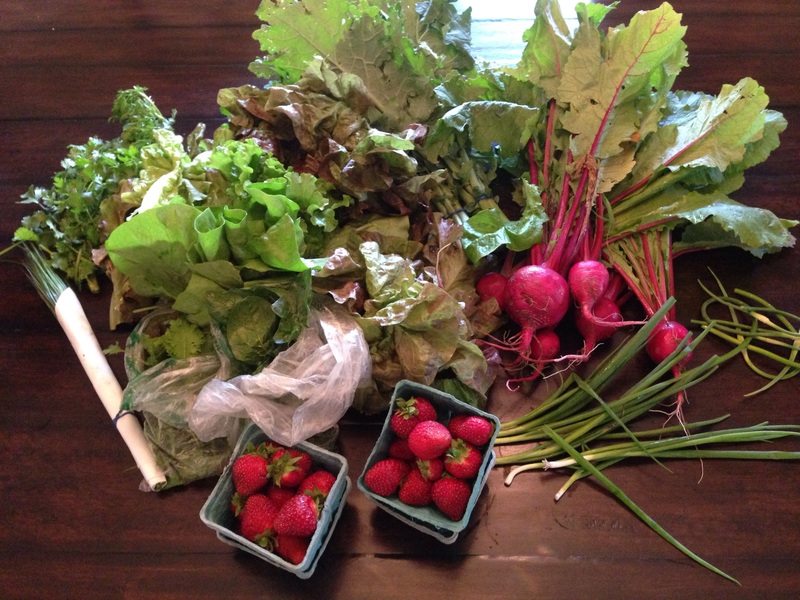 I am going to try to keep posting my CSA box endeavors. Stay tuned… I should have another post up soon.